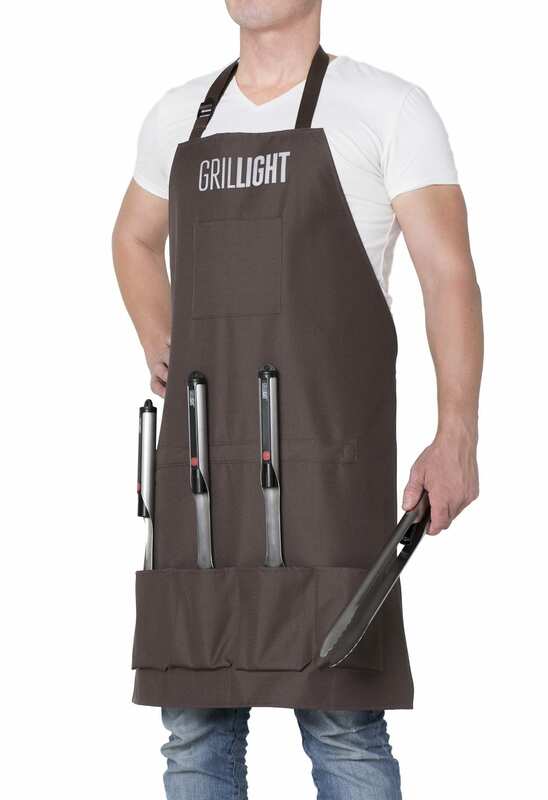 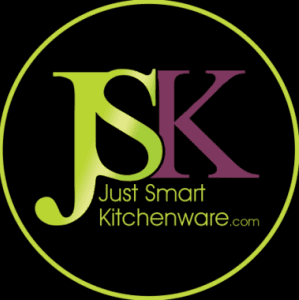 Includes Grillight Spatula, Tongs, Fork, High Temp-resistant Silicone Brush all with high-output Ideal Illumination™ LED flashlight built into handles & Apron. 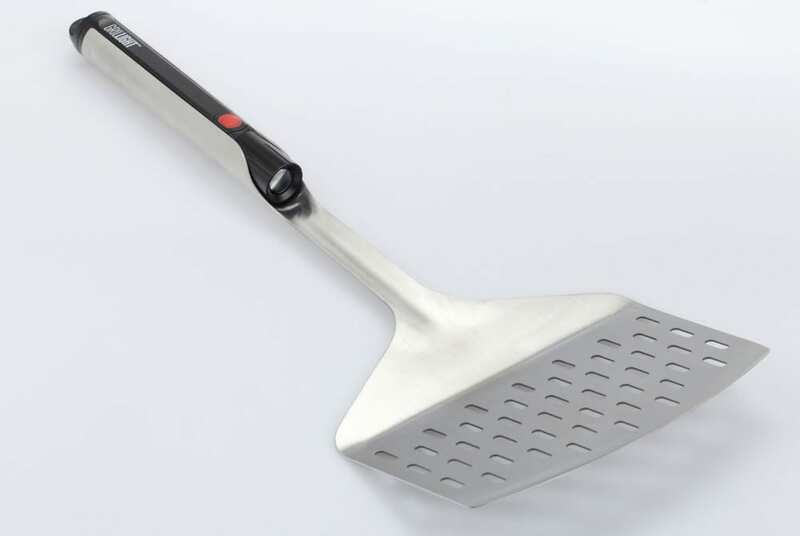 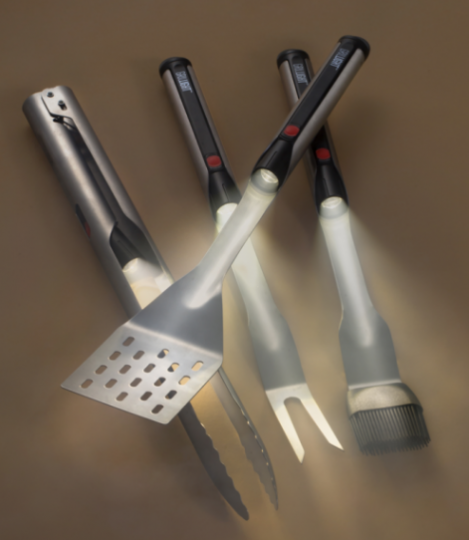 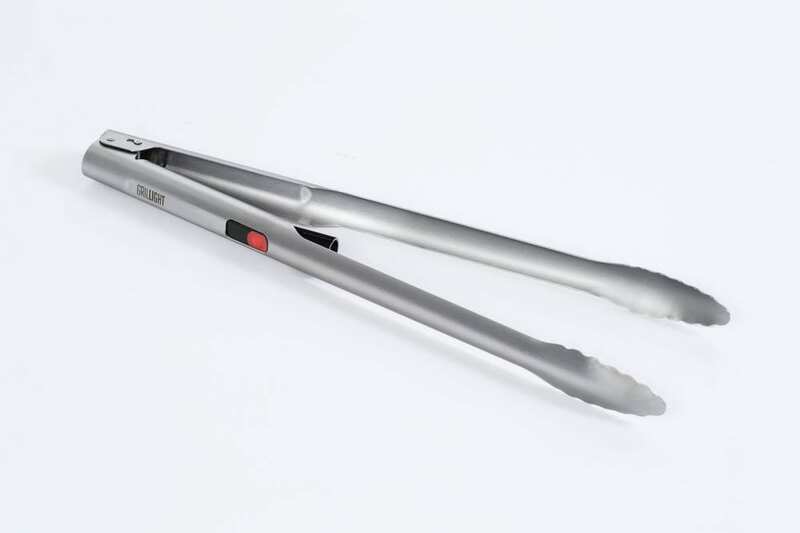 Grillight solves one of the most common problems grillers face in a simple and functional way. 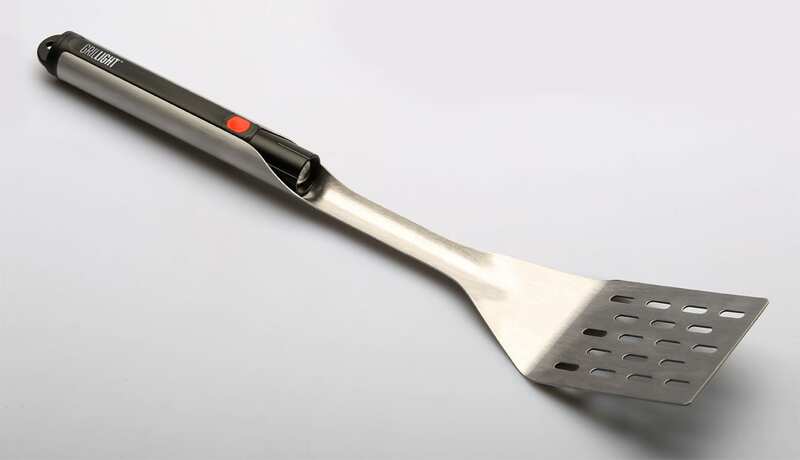 Instead of adding a light as an after thought, our designers started from scratch to build perfect grilling tools. 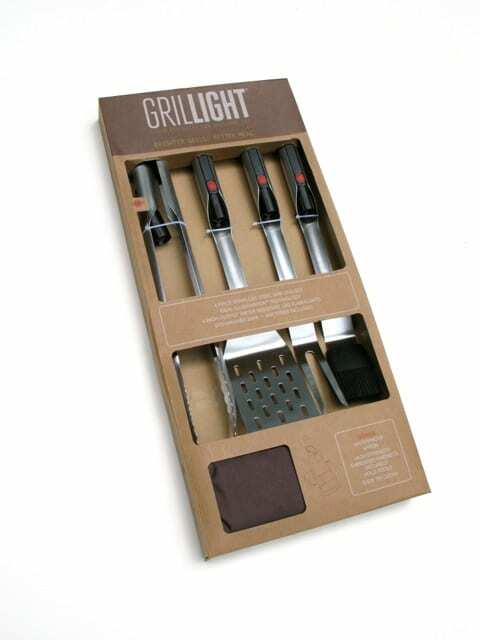 This set includes 4 stainless steel grilling tools and an apron.